Mini has decided not to field a factory team in the 2013 FIA World Rally Championship (WRC). This will come as a disappointment to fans, drivers, and many Mini owners. A statement released today by BMW, parent company of Mini, said that “After careful consideration” Mini will no longer support its works involvement with WRC after the 2012 season ends . “Works” in this context is a term denoting factory support of a motorsports team. Mini has a storied history in rally racing. 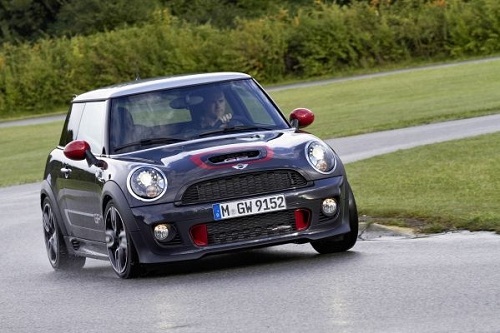 The Mini John Cooper Works edition is a tribute to John Cooper and the company’s involvement in racing. After joining the series when there were substantial changes to the type of cars used, Mini had limited success. One problem all manufacturers with exception of Citroen face is that the single most dominant champion in all of motorsports – possibly all of professional sports – ever is Sebastian Loeb. Driving for Citroen, Loeb has been unstoppable. Therefore the race is always for second place and that subsequently makes it very hard for manufacturers to attain what they desire most from their involvement in motorsport – headlines. Loeb has won the WRC since 2004. He is presently so far ahead of his next challenger in the 2012 season it is inevitable he will win again. Mini as a brand does not really have the gravel-ready rough and tumble reputation that Subaru so carefully cultivated during its time with the WRC and rally in general and company managers may have decided that without a possibility of winning, and with questionable Mini-fan connections to the sport why bother. On the other hand, Mini may have done what it wanted in the series. There will be a lag in the marketability of its involvment and it will still be able to produce posters, photos and other such marketing materials when it sees the need. For general fans of motorsports this news is not welcome. With Hyundai pulling its sponsorship of all North American motorsports it seems as if many manufacturers are seeing limited value in continuing on with expensive programs. Ford’s recent decision to back the Formula Drift racing series may be more in line with the way to generate goodwill from fans and enthusiasts at a lower cost.